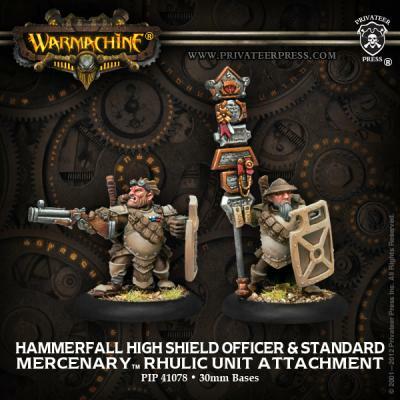 The fortress of Hammerfall produces some of the most outstanding riflemen in all of Rhul and the captains that graduate from that training are superb leaders. A client army lucky enough to hire a Gun Corps company led by one of these officers is assured of a mercenary troupe that will perform flawlessly no matter the battlefield or enemy. In battle the captain is accompanied by a bearer charged with carrying the company?s standard; a device with inscriptions detailing the legal status of the company as well as listing of its valorous deeds.